Interestingly Singapore and UK have overtaken USA in ICO sales numbers in the month of January. Increased regulation on ICO sales by the SEC could be the reason for the depreciating trend observed. Blockchain enterprises in the financial services industry along with allied sectors such as trading and investing continues its dominance over the market despite unfavorable market conditions. The number of ICOs getting listed on exchanges still remains at a low 15%. 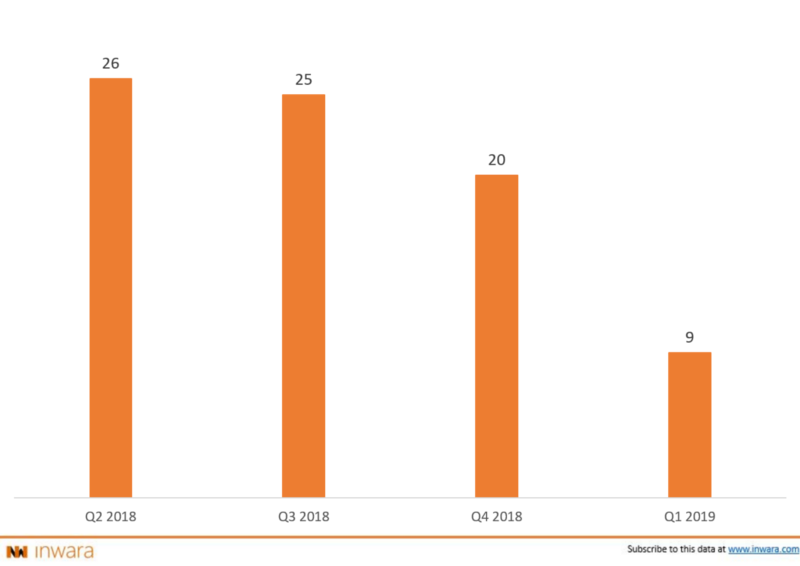 In Q3 2018, less than 20% of ICOs listed themselves in exchanges, this year observed a similar trend. Despite the market conditions being unfavorable, the failure rate among STOs is a low ~10%, with the largest STO being Petro’s $735 million raise.